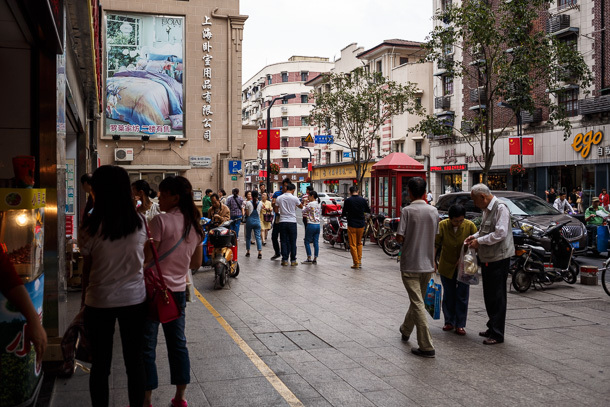 This past October during China’s “golden week”, the mandated national holiday that annually floods every tourist site several times over capacity and brings transit arteries to a crashing halt, my family and I did what we usually do, stay close to home and enjoy the quiet. When we want to go out, we look for places we haven’t seen yet and aren’t near the well-trodden visitor paths. 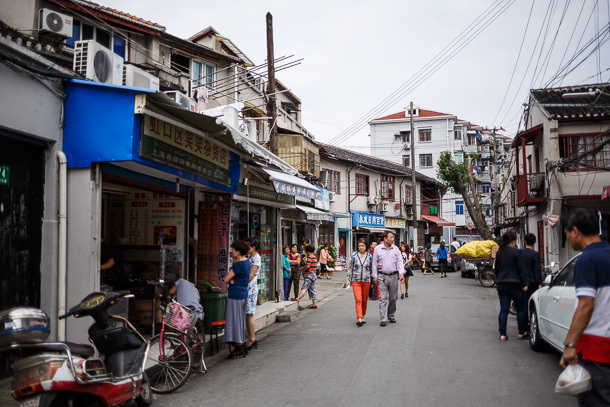 Such a trip brought us out to Hongkou District, where we didn’t find what we thought we were going to find, then instead backtracked into Zhabei District and had a real adventure. 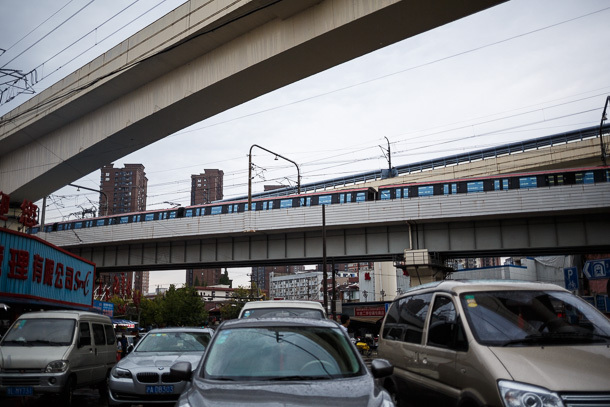 I had seen a mention of Duolun Lu (多伦路), formerly Darroch Road, in a fun little book I found and picked up on a whim, Creative Life In Shanghai Subway. 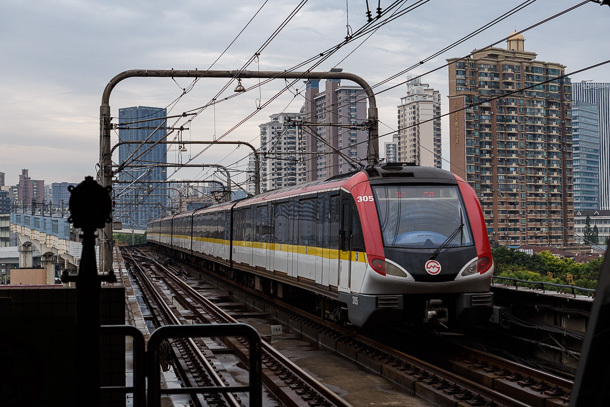 It appears to have been written by a group of Shanghai railfans and lovingly translated into Chinglish, a guide to interesting things to do, organized by subway station catchment areas. It was published in 2009, so the metro network is now far larger. 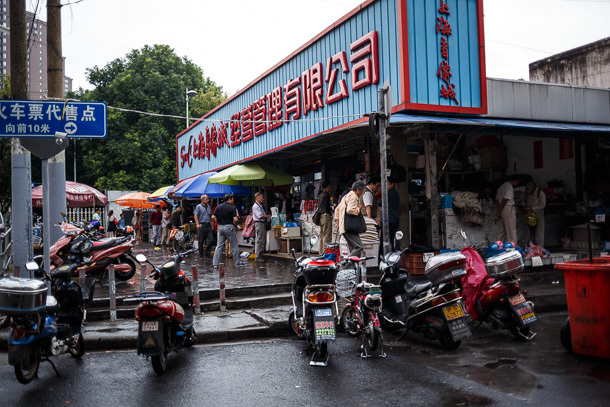 But the description of Duolun Lu at that time made it seem like a low-key, authentic and local place, the kind I like to stroll and photograph. 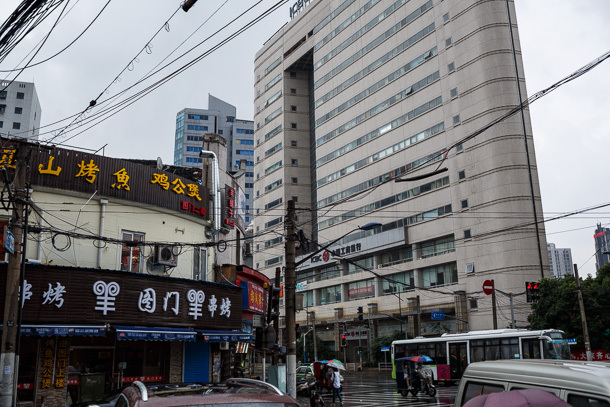 It’s in the Sichuan Bei Lu jiedao, the same subdistrict I wrote about earlier this year, not far from Hailun Road Station and Ha’erbin Lu. 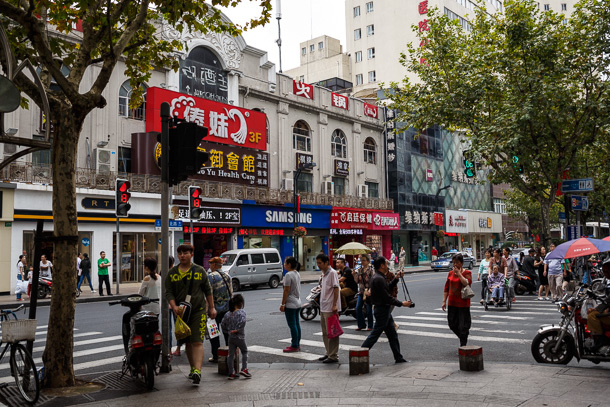 On the short walk from Dongbaoxing Road Station, things look so far so good. 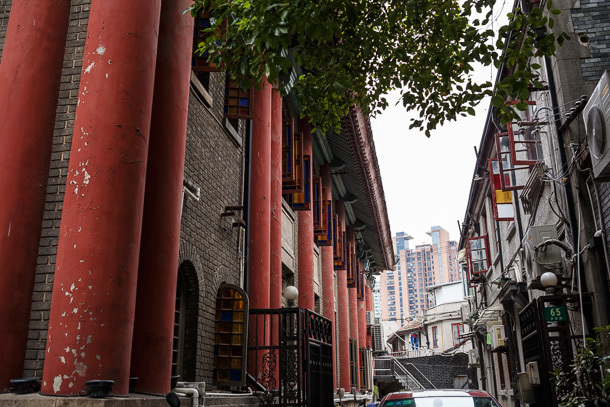 It’s a mix of surviving lilong (里弄) and modern apartments. The main street is friendly. 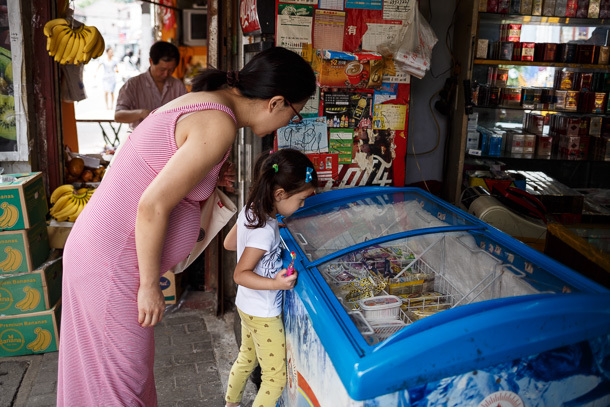 We check out ice cream options. 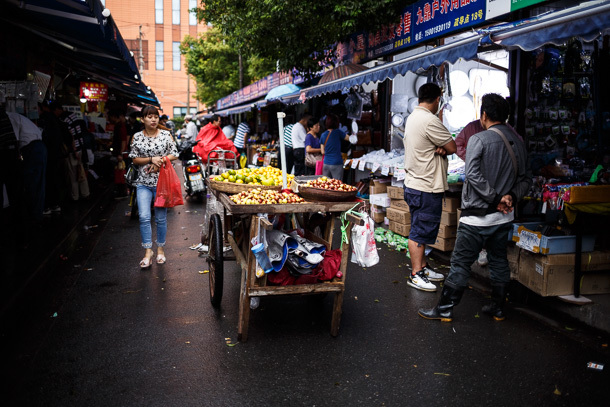 There is no mistaking when you’ve arrived at Duolun Lu itself. It’s mostly pedestrianized, though a few cars and scooters ignore the barricades. 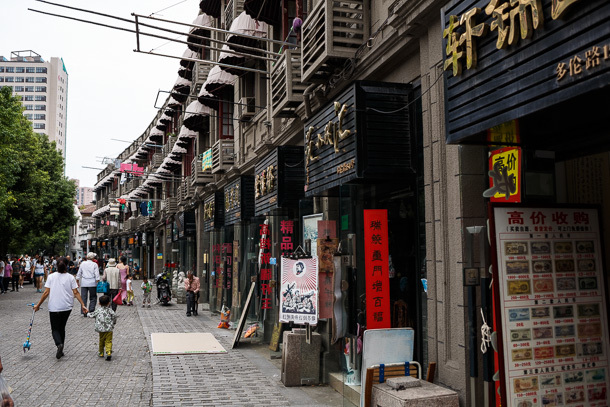 The road dates to 1911, the very end of the Qing Dynasty, and was known as a center for intellectuals and creatives during the first half of the 20th century. 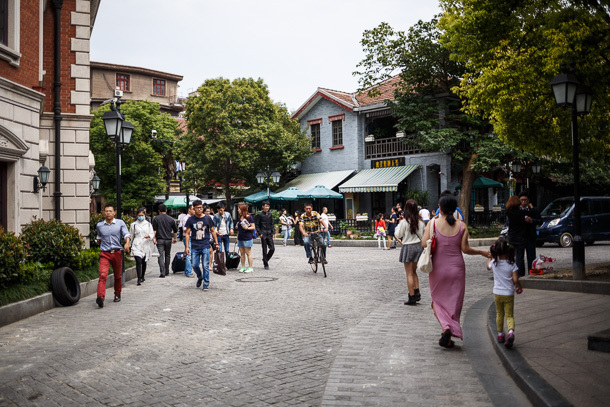 The street has been repaved with brick and stone, and the historic buildings preserved. But I would say the preservation is a little too good. Many of the facades look as though they were completely rebuilt. Everything is too clean and paint too fresh. This work, launched by the local government and which commenced in 1998, converted historic residences for use as museums, galleries, cafes and shops. There’s nothing inherently wrong with the approach. 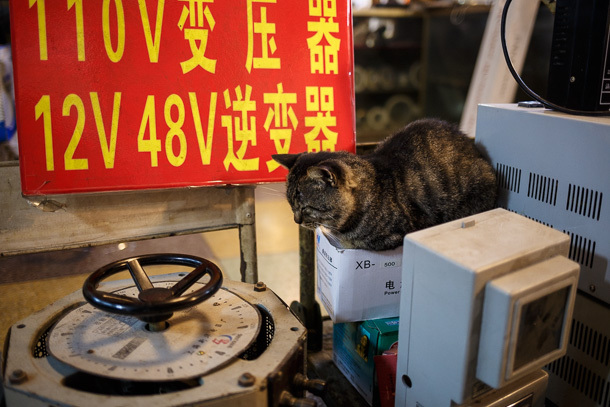 It’s the same formula used elsewhere in Shanghai, at Tianzifang. 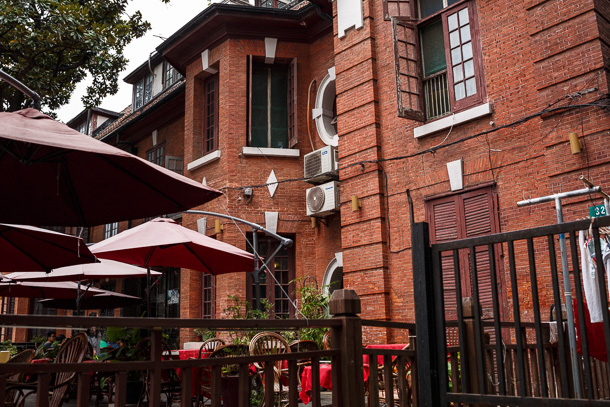 But as at Tianzifang, the tenant types and mix are important. 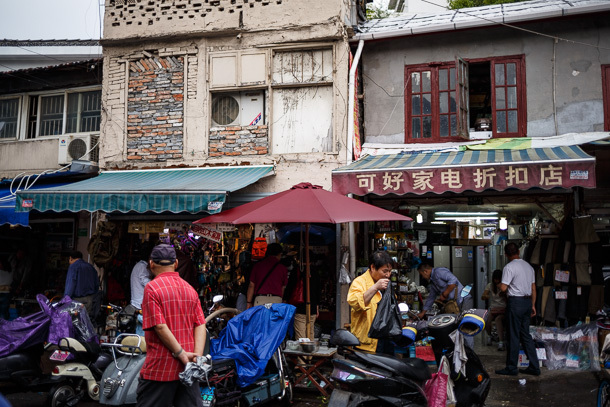 Jade, low cost trinkets, reproduction antique furniture and other souvenirs give it a cheap and unremarkable character inconsistent with the history the project was intended to make more accessable. 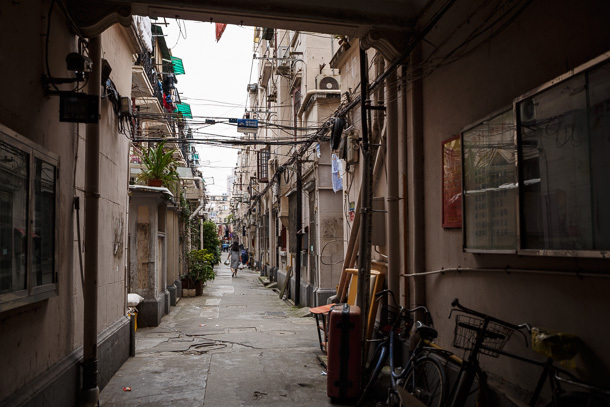 The real, residential lilong neighborhoods adjacent to the street are more like what I had expected to find. 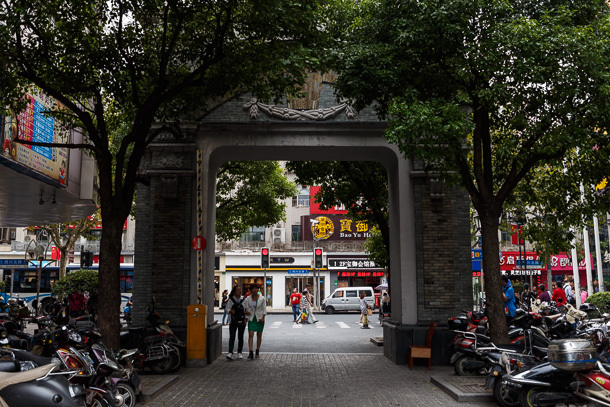 Intersecting both ends of U-shaped Duolun Lu, Sichuan Bei Lu is also interesting. 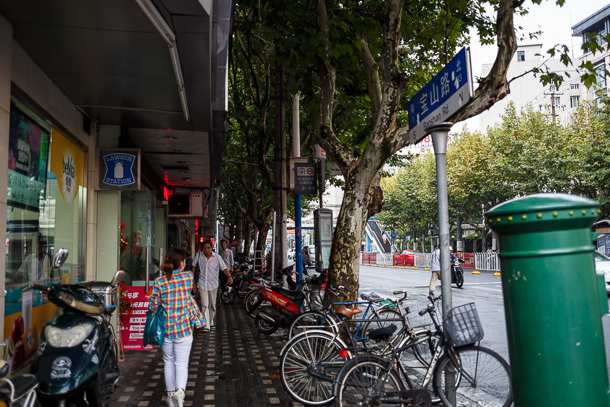 Though a medium sized arterial road, the sidewalks are wide and atmosphere relaxed. 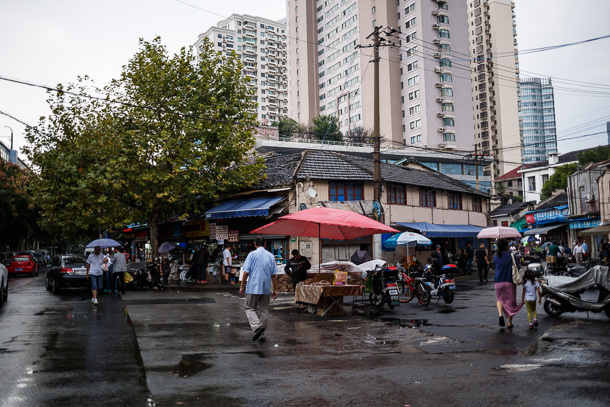 In Xuhui District, where we live, we have several activity nodes from which to choose. 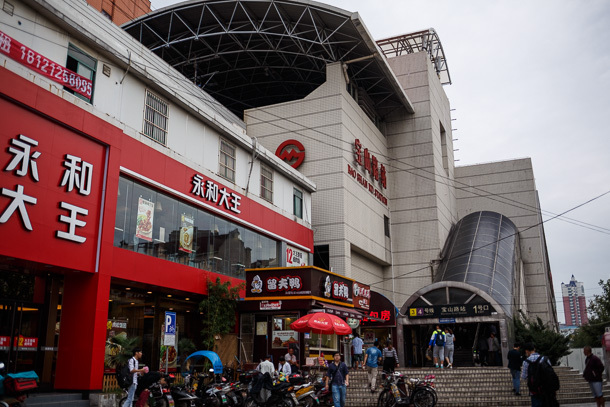 We can generally find necessities and things to do for fun, though many are shopping center-based. 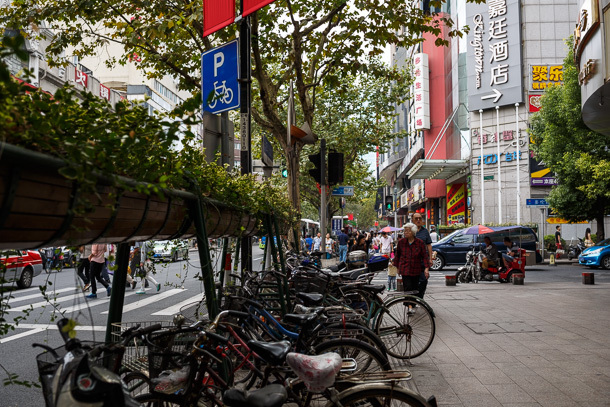 Street life in Xuhui is a bit hectic, as people try their best to claim space back from the high level of vehicle traffic. 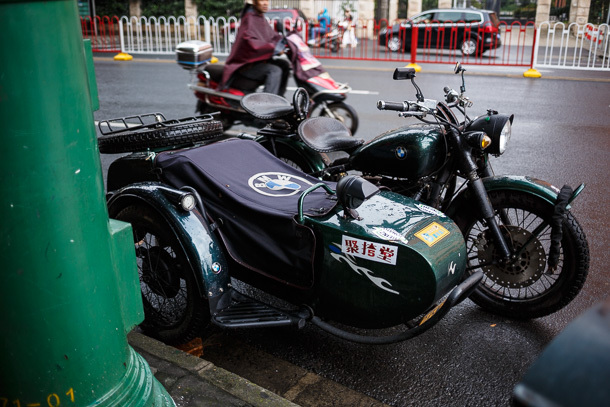 Drivers in Shanghai are quite aggressive, and this seems to scale logarithmically with volume. 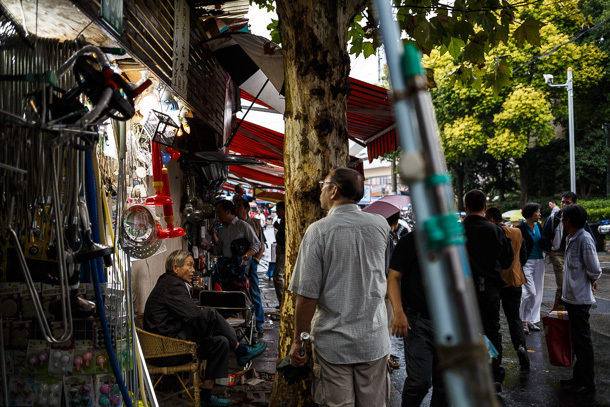 But out here in Hongkou, things are much more relaxed. As a pedestrian, you don’t feel out of place. 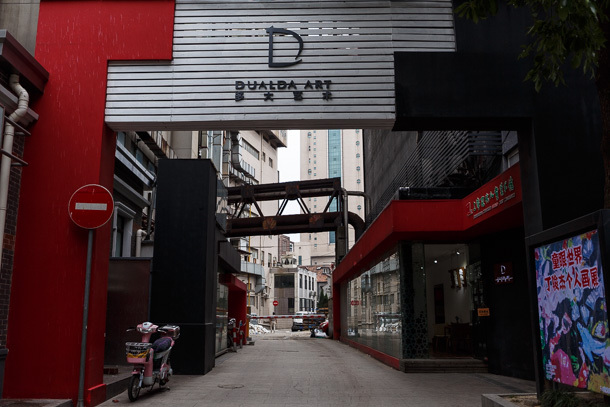 Museums and art galleries are concentrated on the south leg of Duolun Lu. I’m personally not a frequent patron of curated art—I feel much more in my element among the ballet of real life—but exhibition spaces can be fun and engaging when part of an overall interesting activity node. 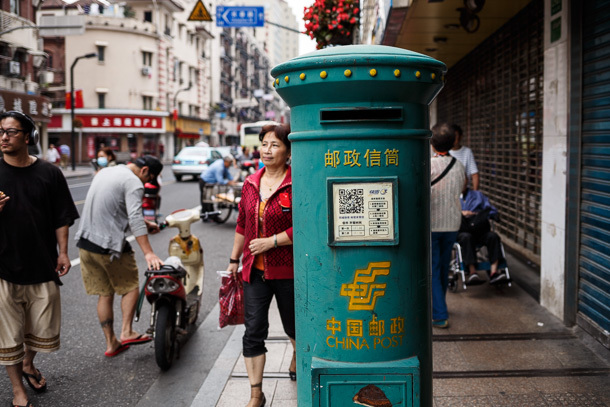 Shanghai’s Tianzifang, kitchy shops notwithstanding, and Beijing’s 798 art district both do this well. 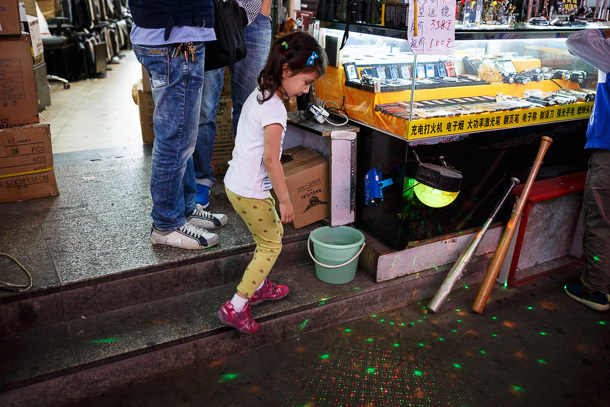 Duolun Lu has a strong watermark of culture zone by fiat, rather than the organic feel of other places. 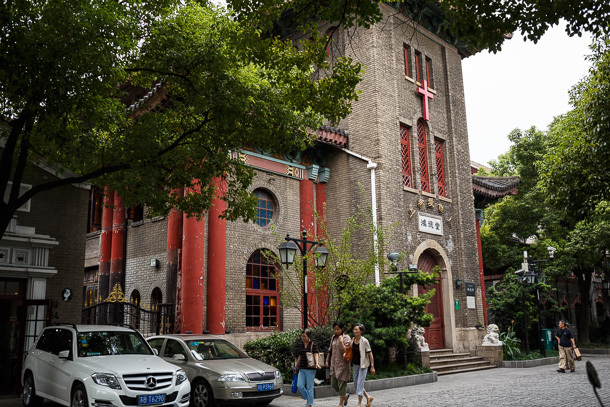 Fitch Memorial Church, called Hongde Tang (鸿德堂) in Chinese, is the most unusual and least rebuilt of all the historic buildings, perhaps the most interesting from an architectural standpoint. 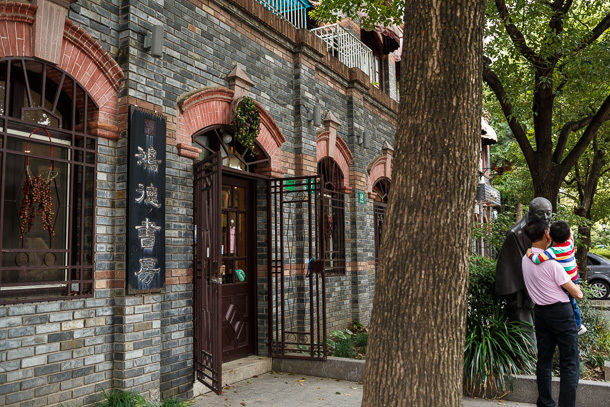 There is a sculpture of Japanese national Uchiyama Kanzo, in front of the bookstore he ran, where influential Chinese and Japanese writers such as Lu Xun and Tanizaki Jun’ichirō were frequent faces during the 1930s. Uchiyama’s role in Sino-Japanese diplomacy is an interesting story. Because his relationship with China began long before 1949, the phrase “foreign friend of the Chinese people” on the inscription at his feet seems mostly neutral, though one can imagine, as with most things here, the hand of the propaganda department has sanctioned or influenced most things we find. 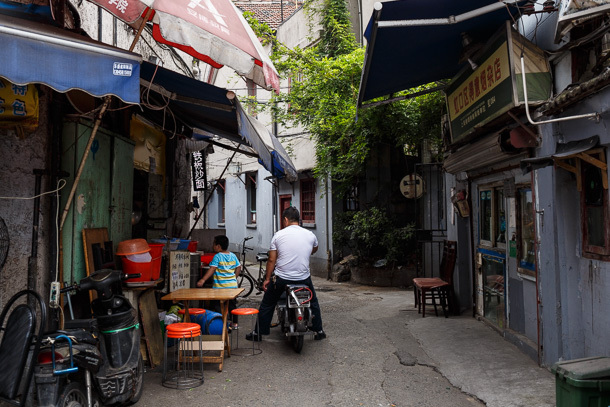 The three of us conclude the neighborhoods around Duolun Lu are more interesting to us than the road itself. But we are undeterred! 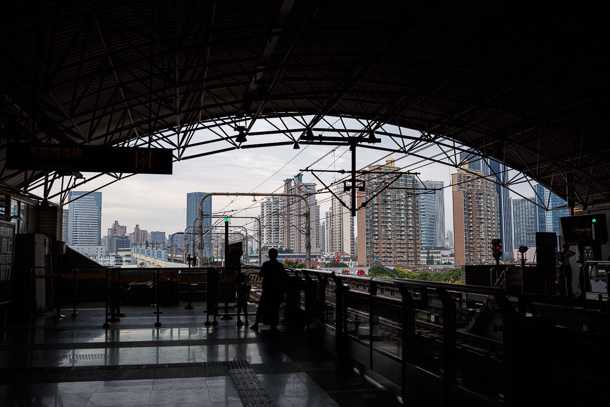 An interesting scene had caught my eye from the train, just east of Baoshan Road Station, so we head back to find lunch and take a look around. 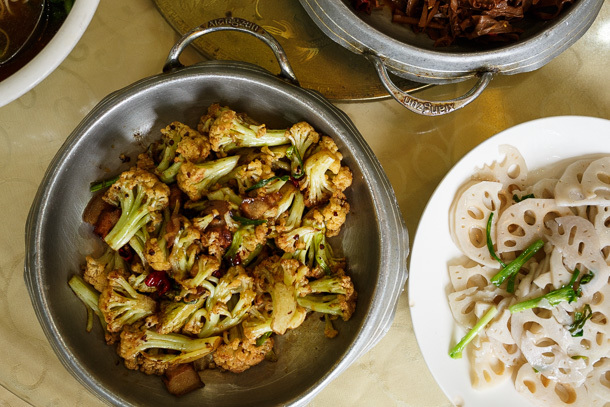 A simple restaurant with a mix of Shanghainese and standard dishes fits the bill. It has started raining while we were eating. 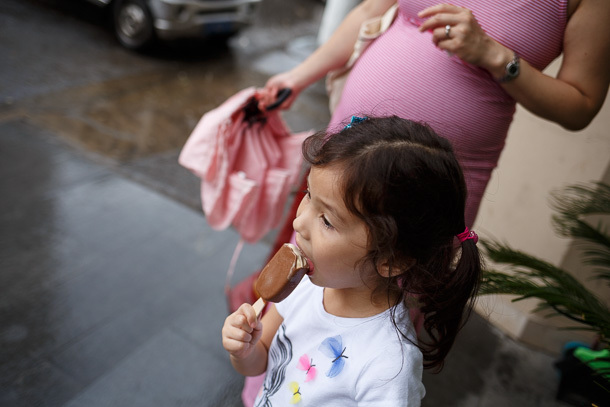 We watch the heaviest precipitation blow through with some ice cream. 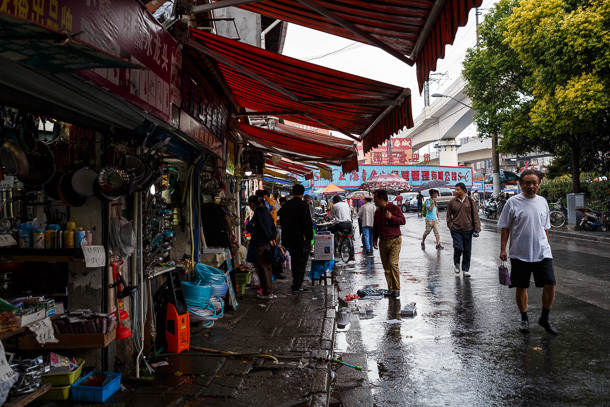 Because of the rain, I figure we won’t be able to find the street I saw earlier, but we duck into the Shanghai Yinxiang Cheng (上海音像城 Shanghai Audiovisual City), an unanticipated and wonderful discovery. 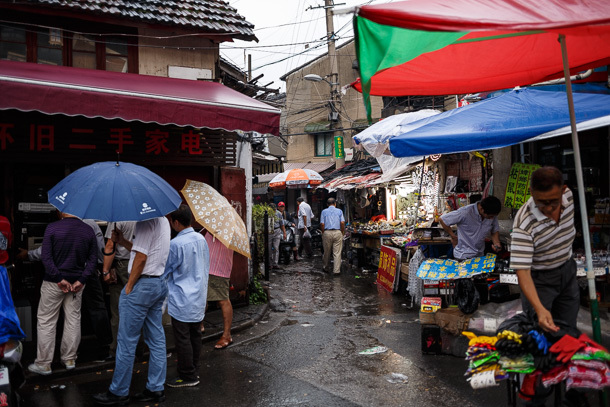 I’ve lived in China for almost two and a half years, and this is the first space I’ve come across that has a similar energy and flow as the shōtengai and ichiba I love to explore in Japan. 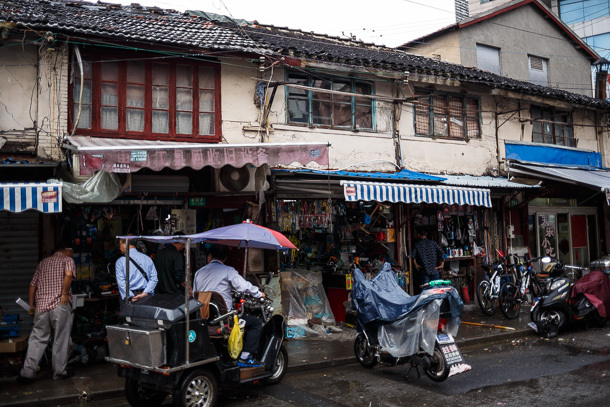 The structure is a little different, it’s part indoor building with porous boundaries, part bazaar style market with solid roof, a few outdoor lanes with semi-permanent kiosks, and all kinds of gnarly spaces connecting them. But the feel is a lot like the shōtengai nests I find in Osaka. 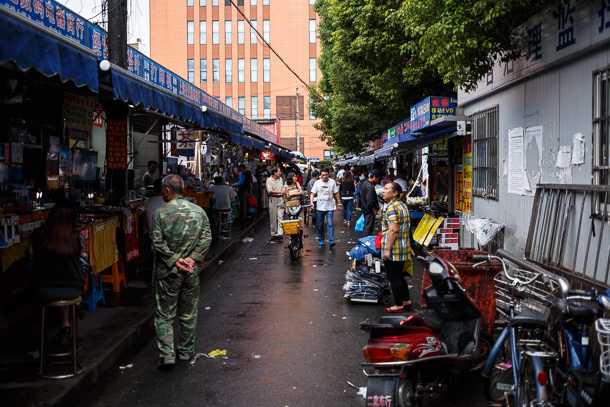 Baidu Baike tells me the marketplace came about to address the need to for a strong audiovisual equipment wholesale center in Shanghai, plans set into motion after the sixteenth national Party congress, so 2002. 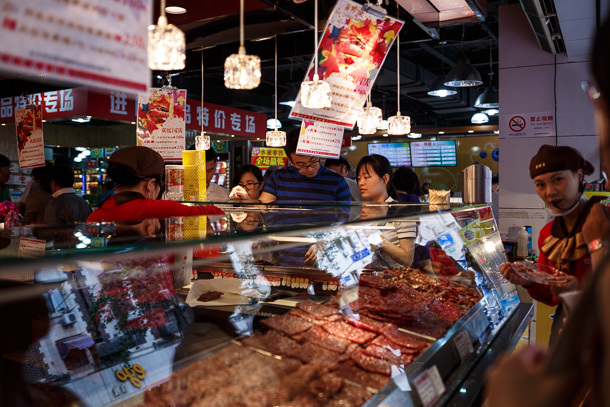 The aims were to reduce operating costs for sellers and increase convenience for buyers by giving them a permanent cluster, rather than individual companies renting commercial spaces around the city. The 21,000 square meter space was built with private capital from the wholesalers, and state financial and operational support. 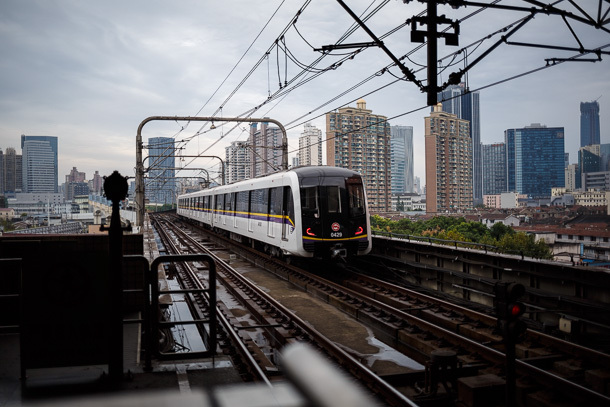 Notable was the involvement of the Zhabei Distict Rail Transit Construction Company (闸北区轨道交通建设公司), a local, private civil-engineering firm that normally focuses on transit infrastructure. 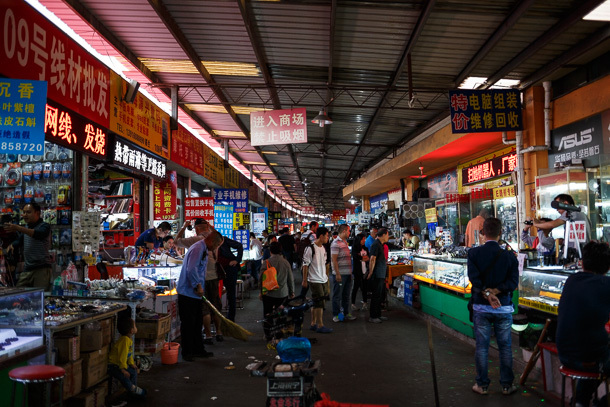 The market does not limit vendors strictly to professional audiovisual supplies. 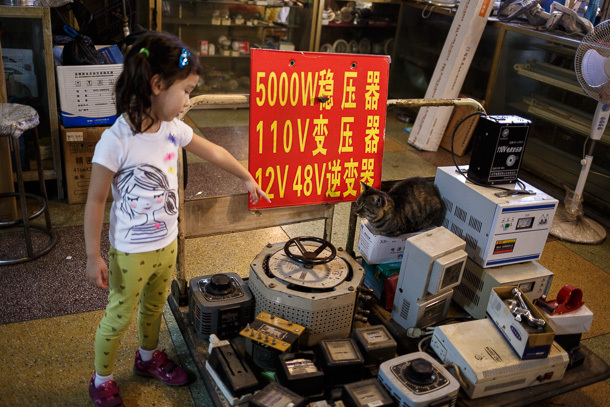 There are also consumer electronics, and household lighting and appliances. 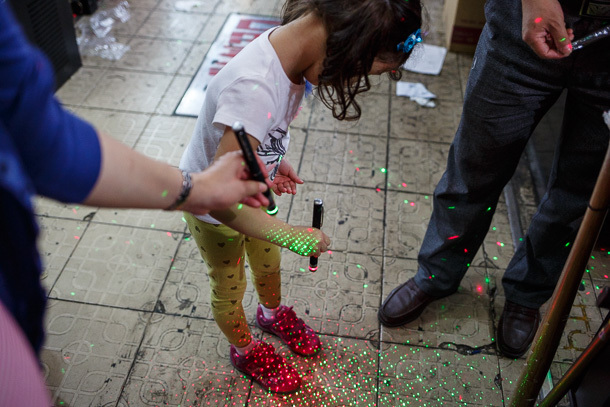 And laser “toys” of dubious safety that the four year old quickly becomes enamored with. 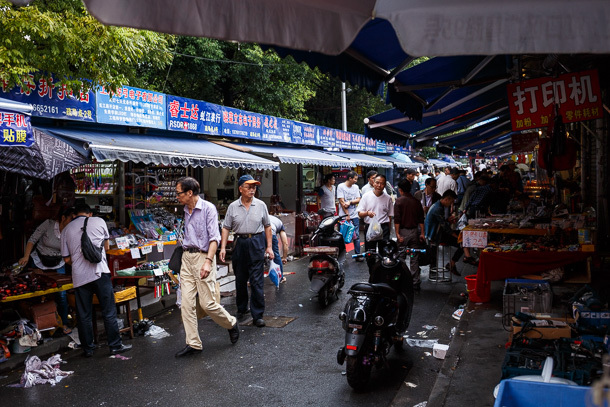 There are more photos from the inside market when I loop back later, but when we emerge from the east side of one of the enclosed structures, I jump for joy as I realize we’ve ended up at the area I had seen from the metro. 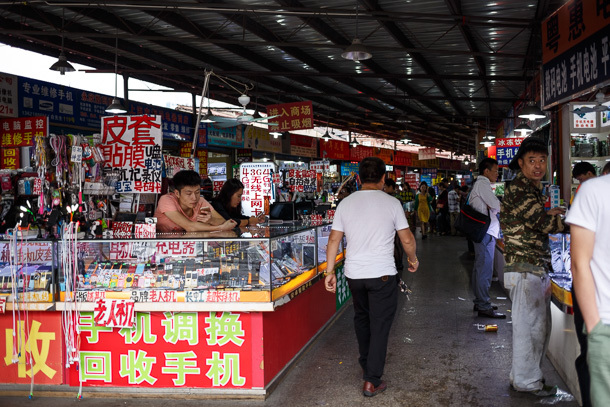 Judging from the age of the buildings and entrenched vendors, it looks like there may have already been a small cluster of electronics sellers in this area prior to the market. In the open space, people have more room to mill about, while the lighting displays and awnings give it a festive feel. 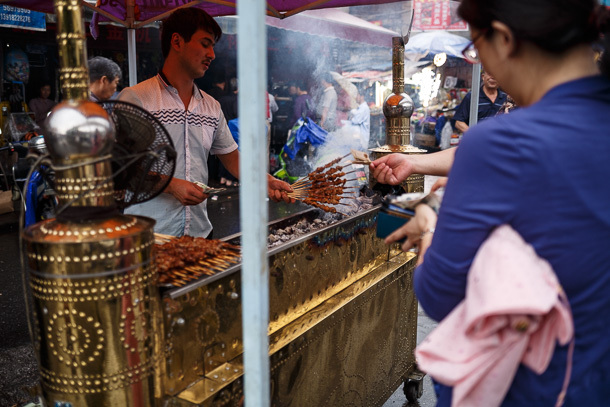 A seller with Xinjiang style lamb chuanr makes the little alcove feel like someone rolled out their charcoal barbecue grill for an impromptu street party. I think the presence of patrons in an outdoor space despite rain is a sign of an attractive activity node. I’d like to see what it looks like on a nicer day. The gritty, rundown character is full of flavor. While it would great if at least a few of this shop rows could be preserved, I have a hunch all or most of these will be gone someday, as surrounding modern development continues encroaching. We are told that one bites if you get too close to it. 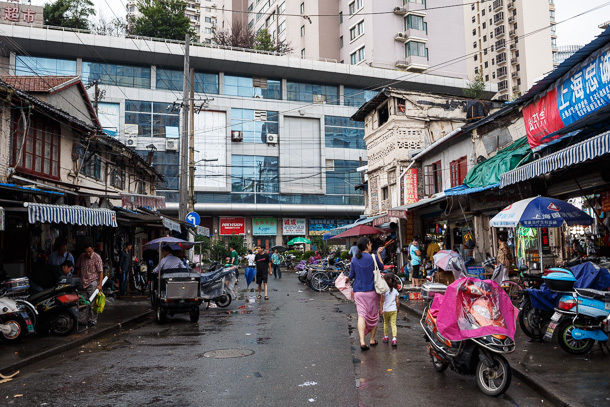 The southern of the two buildings fronting Baoshan Lu has a grid floor layout, just like Cleveland’s West Side Market or Philadelphia’s Reading Terminal Market. 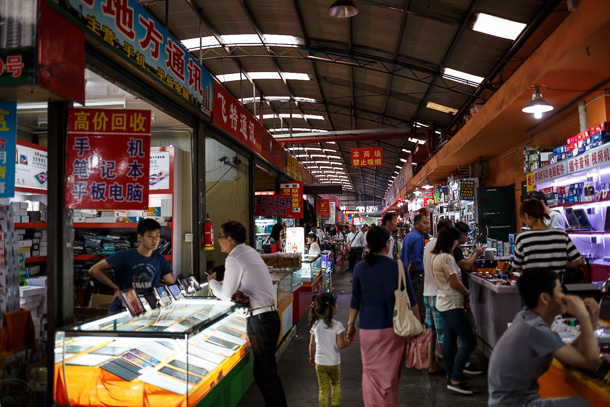 It seems as if no one could agree on just one type of market design, so they decided to try a little of everything. It’s confusing at first, but ultimately more fun for someone who enjoys the experience of hunting for treasure. 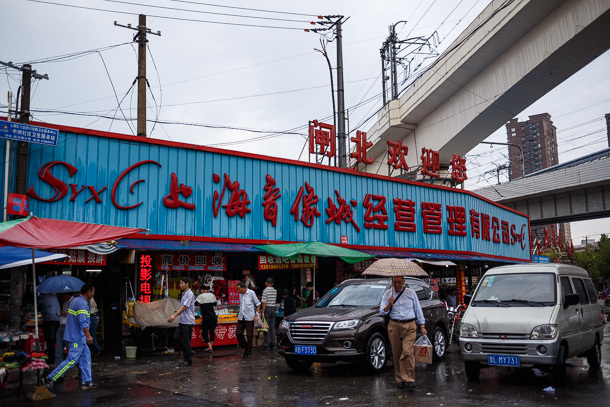 I couldn’t find any information about whether the market was intentionally located near rail transit, but Baoshan Road Station is just up the road from the west entrance. 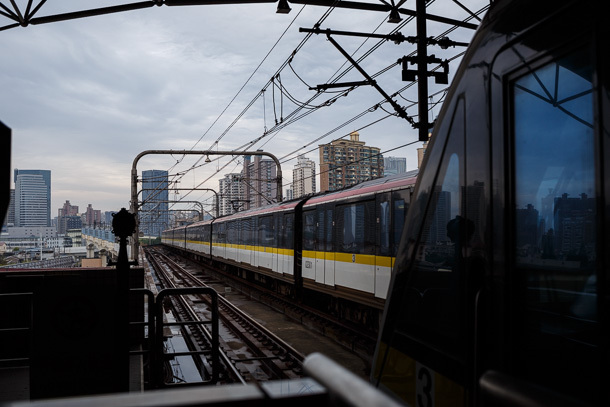 Icing the cake, we spot one of the brand new Line 3/Line 4 dual line trainsets in the station. 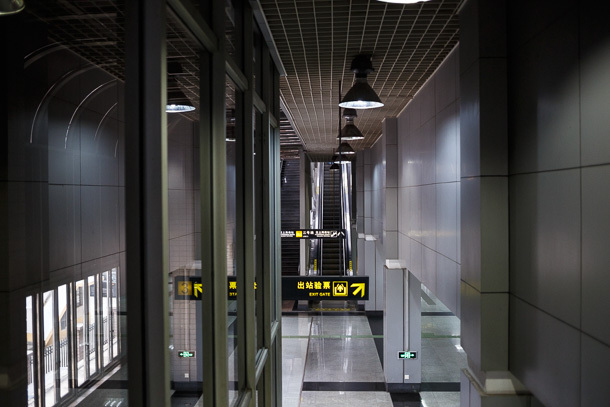 In Shanghai, many of the underground stations have floor to ceiling walls and doors at the platform edge, so trainspotters usually have to go to spacious, above ground stations like this to ply their craft. 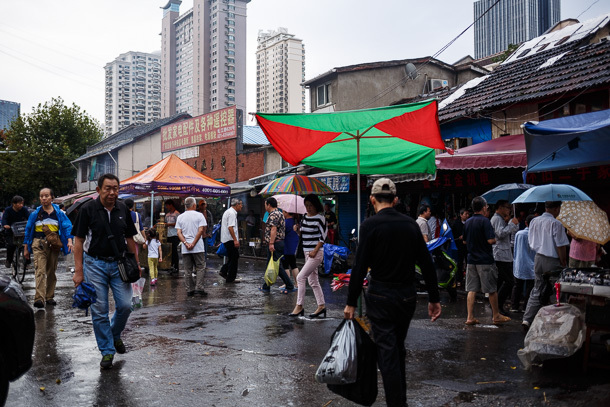 With a lack of urban commons, and dearth of human scale, human touch and basic safety in many of those that do exist, it has been challenging for me to warm up to field study in Chinese cities, and life in general. 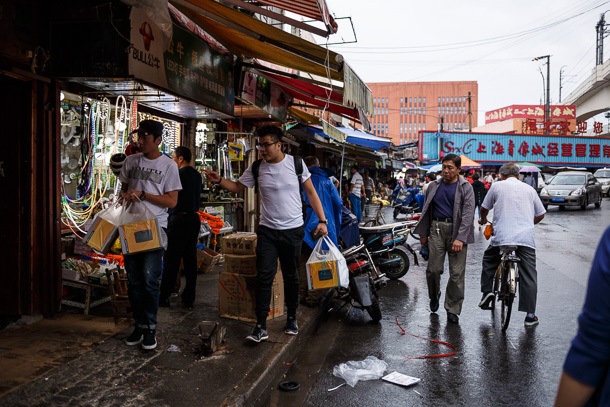 When I describe the kind of dynamic, engaging and authentic space I’m looking for, foreigners and Chinese alike tell me, unfortunately, there just isn’t much to be found. But it is here, and I will do my best to discover, document and celebrate it when I find it. 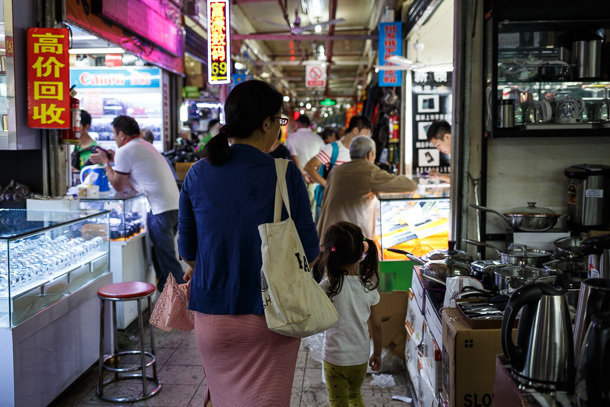 What- no Hello Kitty goods to buy?